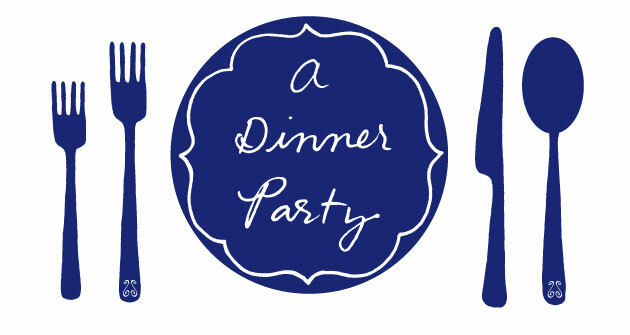 dinner party: what's for dinner, melissa clark? I discovered food writer Melissa Clark through A Good Appetite, her weekly column in The New York Times dining section. Here, she concocts things to eat and drink based on what's in season, random cravings, inspiration from friends and family, or whatever's hanging out in her fridge. Like us home cooks, she tends to add a little of this, a little of that, and taste as she goes, producing recipes that are developed and written in a charmingly meandering way. In addition to writing for the Times, she's contributed articles to publications including Food & Wine and Bon Appetit and has written 18 cookbooks, among them Braise, a collection of recipes with chef Daniel Boulud and The Modern Vegetarian Kitchen, which received a James Beard award and Julia Child Cookbook award. Her next book, Adventures of A Good Appetite, which is based on her Times column, will be out next year. I, for one, can't wait to read it. 2. When was the last time you threw a dinner party, and who was invited? July 13th, we had four friends over for grilled steak and we ate in the garden, covered in mosquito repellent but enjoying the fresh air nonetheless. 3. What is the best menu you've ever made for company? Smoked salmon blinis, champagne, pomegranate roasted quail, farro salad, baked Alaska for dessert with homemade pistachio ice cream. 4. What's your preference: wine, beer, cocktails? 5. What's your favorite dinner party soundtrack? My husband is in change of music, but I like big band music for dinner parties. 6. Some friends are coming over for a last-minute dinner tomorrow night. What do you make? Grilled clams with lemon-cayenne garlic butter, my current obsession, served with homemade flatbread and a big salad with tiny green beans and cherry tomatoes. Almond gelato for dessert. 7. Do you usually cook everything yourself, or do you have help? Usually I cook and my husband chops. 8. Do you ever buy store-bought food, or is everything on your table made from scratch? Usually most things are homemade but I don't mind buying stuff as long as it's high quality. 9. What do you like to serve for dessert? Homemade pie is the best when I can manage it. No one turns it down, there's always room for pie. 10. If you could invite anyone over for dinner (living or dead), who would it be? Great interview. This picture of Melissa looks kinda like what I picture posion ivy from batman to look like. Coincidentally enough, I have the world's smallest green bean and cherry tomato harvest in a bowl on my counter right now. Instant salad! Nikkilooch: Glad you enjoyed it. Pretty hot photo, huh? Casey: Yum. I envy your garden big-time. Wow, cool post!! Homemade pistachio ice cream? AWESOME! Don't want to confuse a blini and a bellini or you'll end up with lox in your proseco. Embarrassed? Are you kidding, I'm totally flattered. Thanks!!! Lisa I've enjoyed all the other "what's for dinner" posts too, thanks for including me.